The D-Link Network Associate (DNA) program is D-Link's entry-level networking certification of D-Link certification framework. DNA certification is conducted exclusively by Wheebox in India. DNA Certification Fee will cost 250 INR or 5 USD for each candidate*. After online registration and successful payment of certification fee, all candidates will be able to download courseware at no cost. Post online registration, all candidates will be able to download DNA Courseware at no cost. All candidates will be part of Wheebox Equal Employment Opportunity program. 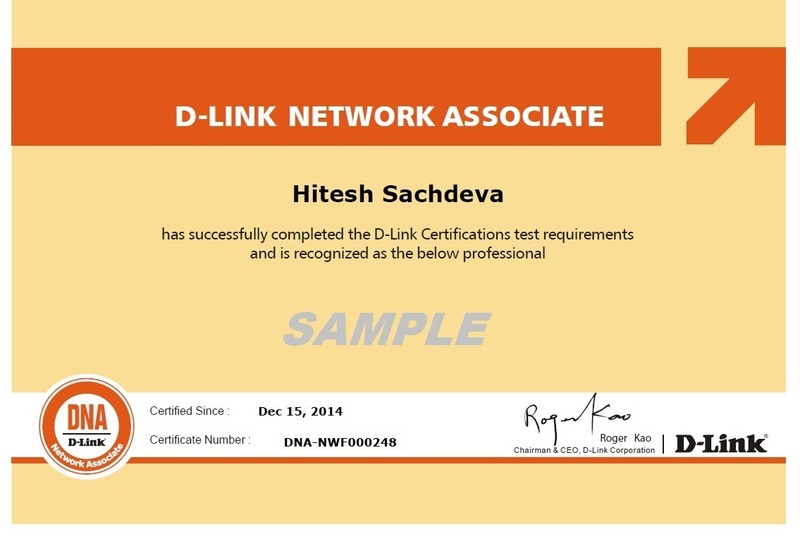 The D-Link Network Associate (DNA) program is D-Linkâ€™s entry-level networking certification of D-Link certification framework. This course describes the IP addressing scheme and rule for students to identify the host and subject requirements. This course enables participants to gain fundamental knowledge of latest networking technology based on Switching/Wireless/IP Surveillance. This course gives students introductory information of cloud computing technology. This course consists of the content you will need to know to pass the D-Link Network Associate (DNA) Exam. There is no prerequisite for the DNA training. However, for an effective and efficient learning experience, the participants need to have some knowledge on skills to connect their computers, laptops, tablets or smart phones to the network and surf the Internet. This course is an entry-level course for those who would like to become a professional in IT networking industry, regardless of sales or technical functions. The course is open to IT industry professionals with little networking knowledge but they want to start acquiring network knowledge. This course is open to those who wish to pursue the D-Link Network Associate (DNA) certification.